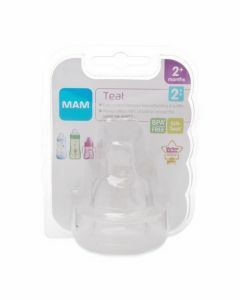 The orthodontic mam teat is ideal for baby's jaw and teeth development. 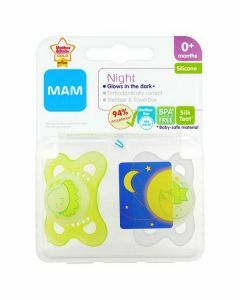 Mam Style Soother is curved for comfort and good for the skin thanks to generous air holes and MAM's patented inside surface. 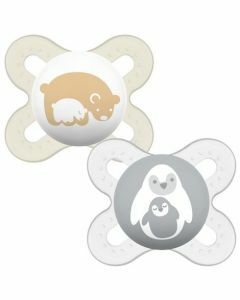 It individually adapts to baby's mouth. MAM soothers are always in the right position. Easy to use - the knob is easy to take hold of and use. 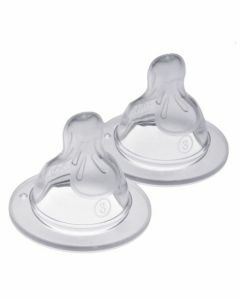 Two soothers in sterilisable carrycase. Before first use boil in water for 5 minutes or sterlise. Allow to stand for a further 5 miutes before giving it to baby.